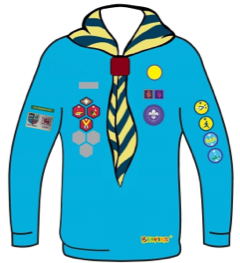 Beavers are the first section you can join in the Scout Movement and accepts boys and girls from the ages of 6 through to 8 years old. Beavers run for 1 hour per week. They enjoy all that Scouting has to offer, being introduced to outdoor activities, having the opportunity to be creative, explore their local community and experience the excitement of a Beaver Scout Sleepover with their friends. If you would like to contact us, please use Contact Page.